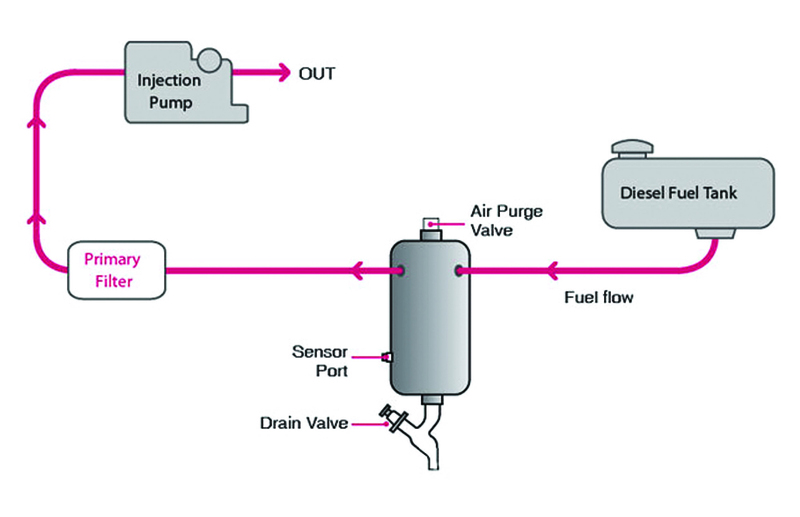 To ensure better life of your diesel engine, the fuel must be clear of water and other impurities. The performance of a diesel engine can be highly affected by contaminated fuel (diesel bug)– worst case is complete failure. 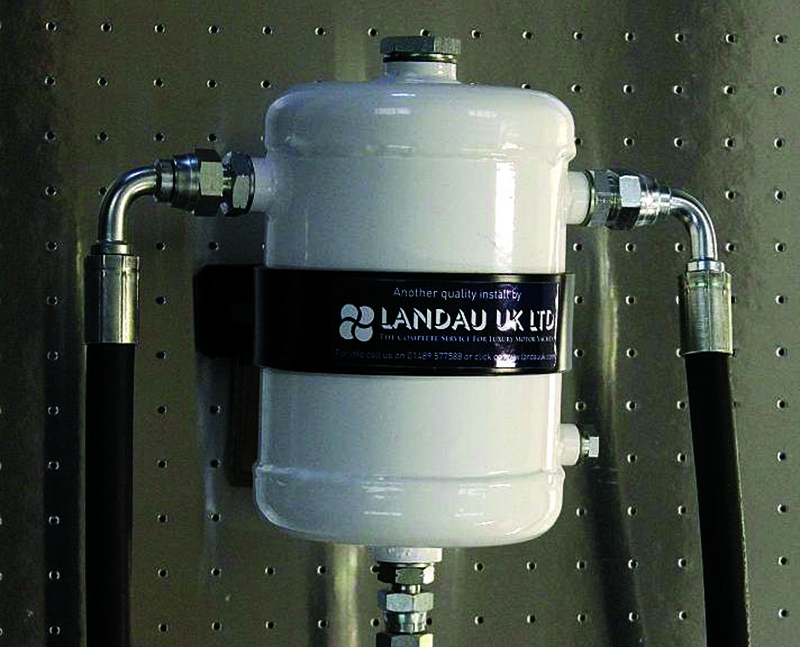 Landau’s range of fuel purifiers will restore fuel to its refined state. They are a simple to operate means of protecting your engine against diesel bug and other contaminants, plus they help prolonging the life of your fuel filters. Just open a tap and drain the contaminants away! Sand, grit, rust, water, etc. can easily be transferred into fuel by poor storage, bad housekeeping practices or simple human error. So you can never be sure that your fuel is of the optimum quality for maximum engine efficiency. Modern day diesel engines need clean fuel. Dirty fuel will cause damage. A build up of contaminants will eventually lead to engine failure. A rough passage can stir up debris that has collected in the bottom of a fuel tank. The safeguard is a fuel purifier from Landau. Furthermore, with the ever increasing incidence of bio-diesel in fuel, the problem of the fuel splitting after just a few months will only get worse. When water splits out like this and sits in contact with diesel the consequence is diesel bug starts to grow. Our fuel purifiers have been independently tested to remove 99% of water and 97% of diesel bug and other solid contaminants. So for complete peace of mind that your engine won’t fail due to a fuel contamination or even if just concerned about diesel bug fit Landau’s fuel purifier. 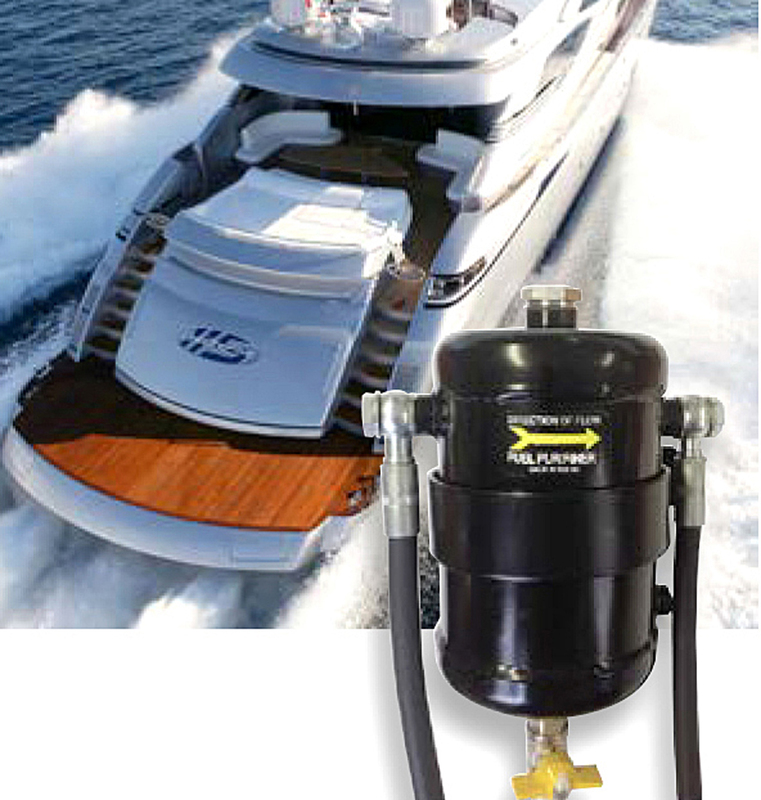 We are able to supply and fit or just supply the Fuel Purifier. Click on ‘Contact Us’ or ‘Request a Quote’ to find out more.